Yves Saint Laurent c’est incroyable! Okay, OKAY! I got three 😳 not just the one! LOL. I got two Rouge Volupté lipsticks & one Gloss Pur. In reality the Gloss Pur gloss retails at £20.50 & the Rouge Volupté lip stick retails at £21.50. I got them both from CheapSmells.com (hence the disgustingly CHEAP price of them both!). Their delivery was free which is great but they arrived quite late which I wasn’t too pleased about. They took around a week if not slightly over a week to get delivered. If you’re not in a hurry to get your products then I’d definitely reccomend the website – it’s full of BARGAINS! 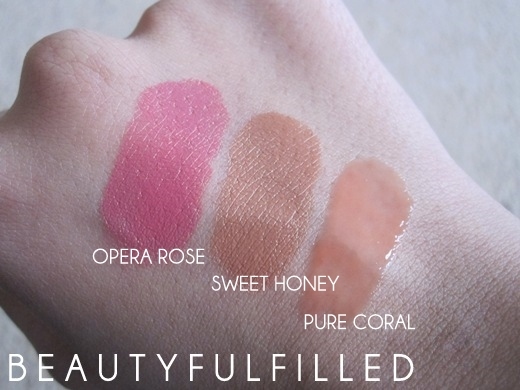 I absolutely LOVE the packaging of the lipsticks. They’re so luxurious & feel very rich! They all show their colour on the middle band which is great. It saves you having to open it up or read the colour name/number underneath. I couldn’t resist getting a pink colour 🙂 Sweet honey was the colour that Summer suggested I should get & I do love it! I totally don’t regret getting any of these three colours. They’re all GORGEOUS! I absolutely HATE sticky glosses. That includes a lot of MAC ones! 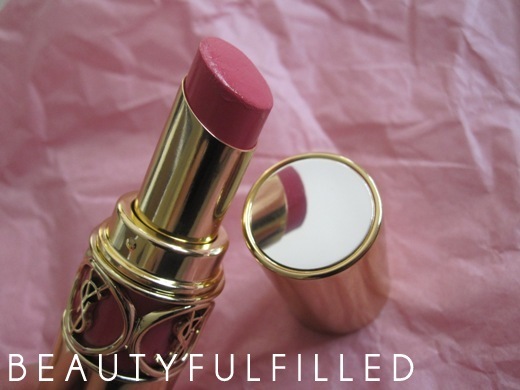 However, this one is so smooth & feels more like a moisturising lip balm than anything else. The colour isn’t very pigmented but would look great on top of Costa Chic by MAC. I’ve been wearing this to interviews as it’s a very CLASSY & professional colour. 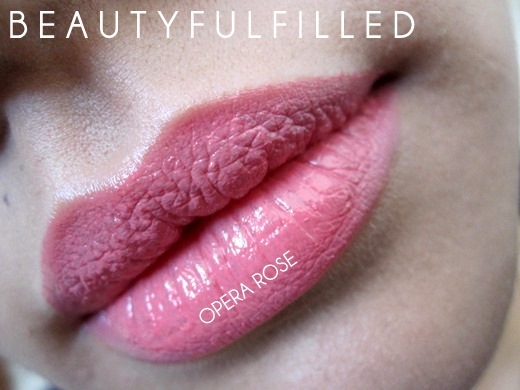 This would be my go-to lip product for work or professional settings, that’s for sure. 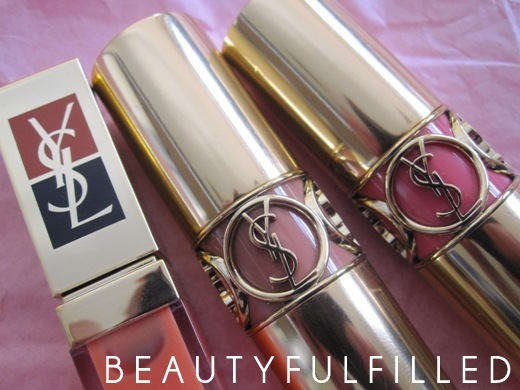 I’m totally gonna be keeping an eye out for more YSL products now that I’ve found these GEMS 🙂 Do you have any YSL that you’d recommend? 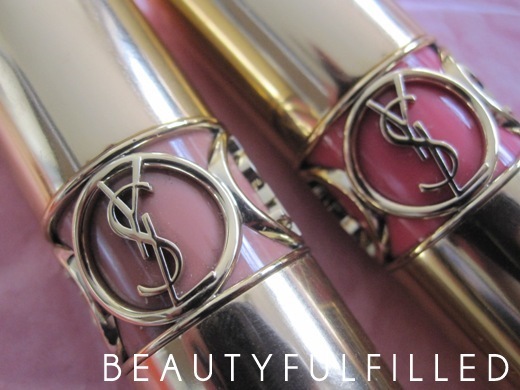 I really want to try YSL’s Touche Eclat Radiant concealer… Would you say it’s worth it? P.S – Check out Summer’s BLOG & YOUTUBE channel 🙂 I love her videos! Previous Article← FOTD: Bollywood Emerald.